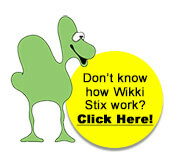 In 1989, a bit of serendipity introduced a funny little waxed yarn item, then called Sticky Wikki, to Kem Clark, a marketing consultant in Phoenix. Clark was immediately intrigued by the product, invented by a company in Chicago, and spent a considerable amount of time discussing its potential with the inventor. When it became obvious he was more inventor than marketer, Clark stepped up to buy the patent, and a new category of product was born…waxed yarn. To Clark, part of the (value) (intrigue)…of the product was its versatility…she could see it in the classroom as a teaching tool, and in restaurants as a clean alternative to crayons…and as a fun creative activity toy as well as an Arts & Crafts medium. 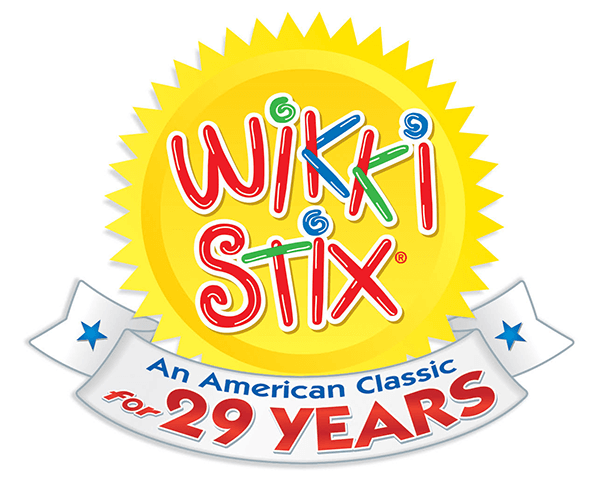 Renamed Wikki Stix, it was launched in January of 1990. As the developing interest in Special Needs has evolved, Wikki Stix have become a featured player in this market, as a soft, pliable and tactile manipulative used as a calming fidget toy as well as for fine motor skills, and as a raised line medium for the blind and low-level sighted. It is a favorite of Occupational Therapists for myriad applications in that field. Wikki Stix themselves are wax-infused yarn, available in three lengths: the original six-inch strand, which was the only thing available from the inventor, and then a slightly longer eight-inch strand, and ultimately three-foot lengths…all sizes available in over 20 colors. From the original packages of primary and neon colors, Wikki Stix have grown into a product line of 38 products for kids, plus two “adult” versions…a stress reducer and Fixables…Wikki Stix as a handy household helper. “All of us here in the office use them for all kinds of things around the house and for a quick fix when anything breaks,” said Clark. 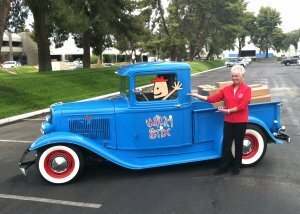 To underscore the 25-year benchmark as a classic toy, Omnicor turned to another American classic to help make the statement, a 1934 Ford pickup truck, known as Wikki 1…the Wikki Stix Fun Delivery Truck. The truck has been the focal point of a year-long marketing campaign for dealers: Delivering Wikki Stix to your store and driving customers to your door! 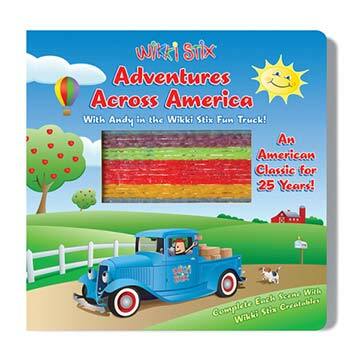 The truck, with its cartoon driver Andy, is also featured in the brand new board book, Adventures Across America with Andy in the Wikki Stix Fun Truck! “What better way to celebrate 25 years of being an American-made product than with a tribute to our great country,” Clark said.